This is the penultimate restaurant in my Top 50. This place has been here for a very long time. 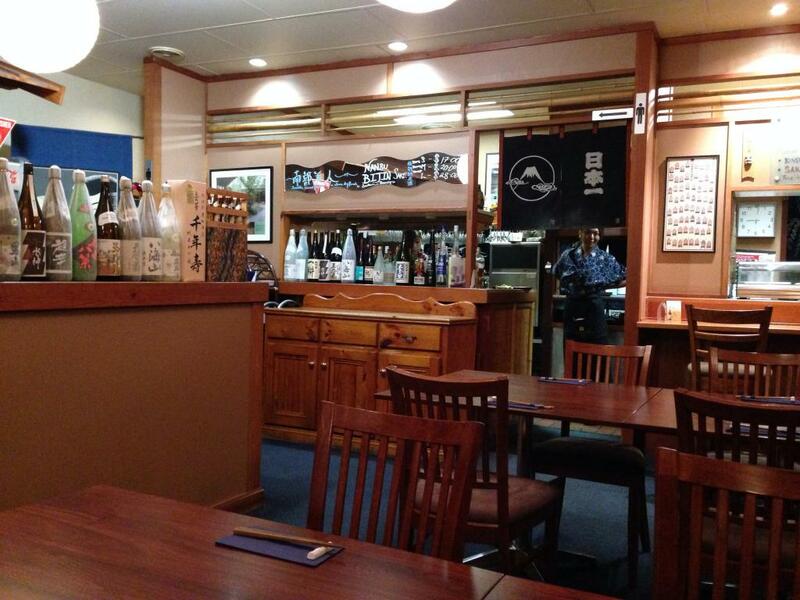 I went here while learning Japanese in high school. 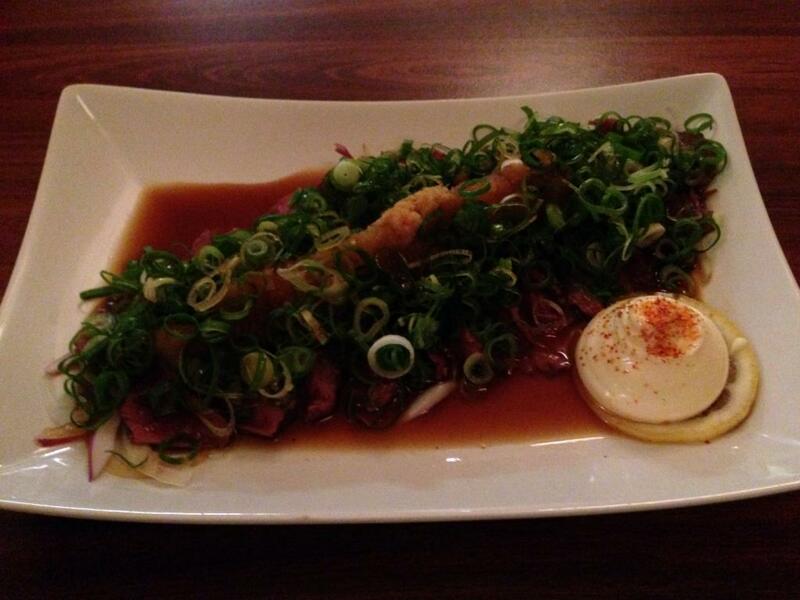 The beef sashimi is served with ponzu sauce. Apparently most people are put off by the idea of beef sashimi. I'm put off too. :) it's highly recommended, however. I wasn't expecting to like this. The beef is lightly cooked on the outside, and "sashimi" on the inside. It doesn't have the strong unusual taste or texture I expected, and soaks up the tasty soy and peanut sauce from the plate. There's too much spring onion here, but I can ignore it. A little bit adds some zest to the meat, and the creamy stuff has a nice tang to it. All the tastes here are really well done. There's nothing overpowering or off, and that's unexpected for a plate with so many strong ingredients. 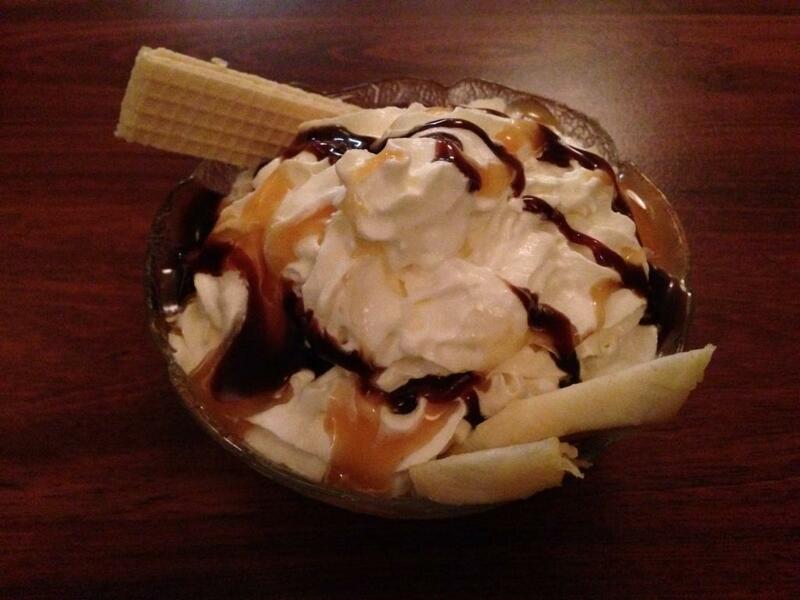 Fresh banana, ice cream, caramel & choc sauce. This is a bowl of ice cream. It has cream and topping, plus some chopped banana, and a Bi-Lo wafer biscuit. There's nothing wrong with this, but it's like they're not even trying. After such a good main course, this very average dessert seems even worse than it really is.